Data anonymization is required before a big-data business can run effectively without compromising the privacy of the personal information it uses. It is not trivial to choose the best algorithm to anonymize some given data securely for a given purpose. In accurately assessing the risk of data being compromised, there should be a balance between utility and security. Therefore, using common pseudo microdata, we proposed a competition for the best anonymization and re-identification algorithms. 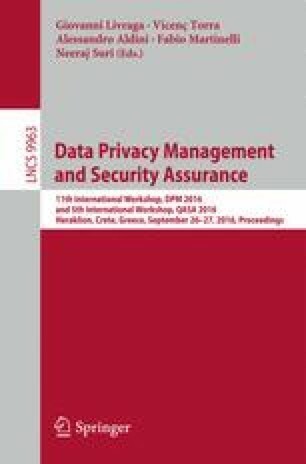 This paper reports the results of the competition and the analysis of the effectiveness of the anonymization techniques. The competition results show that there is a trade-off between utility and security, and 20.9 % of records were reidentified on average.